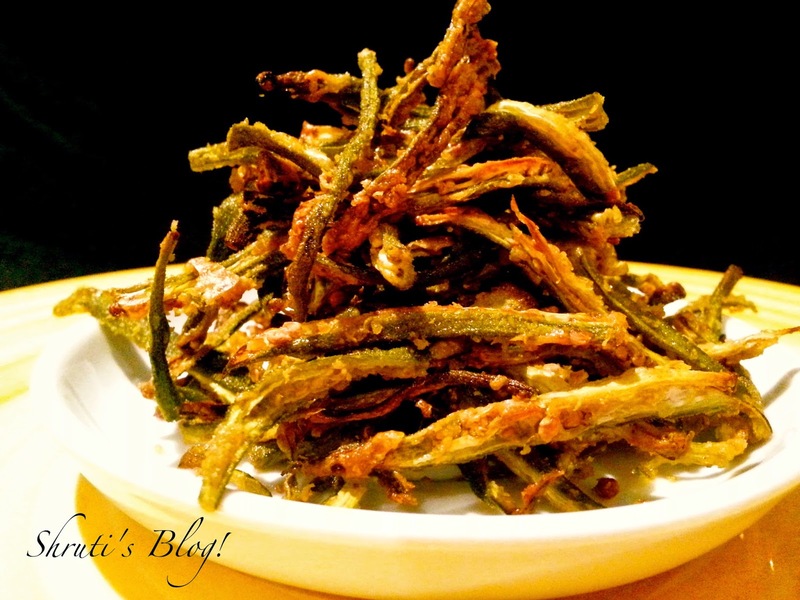 Or baked, dredged in besan as kurkuri bhindi. Wash and dry the bhindi thoroughly. Trim the tips and cut them into thin slivers. In a bowl, mix the rest of the ingredients into a paste. 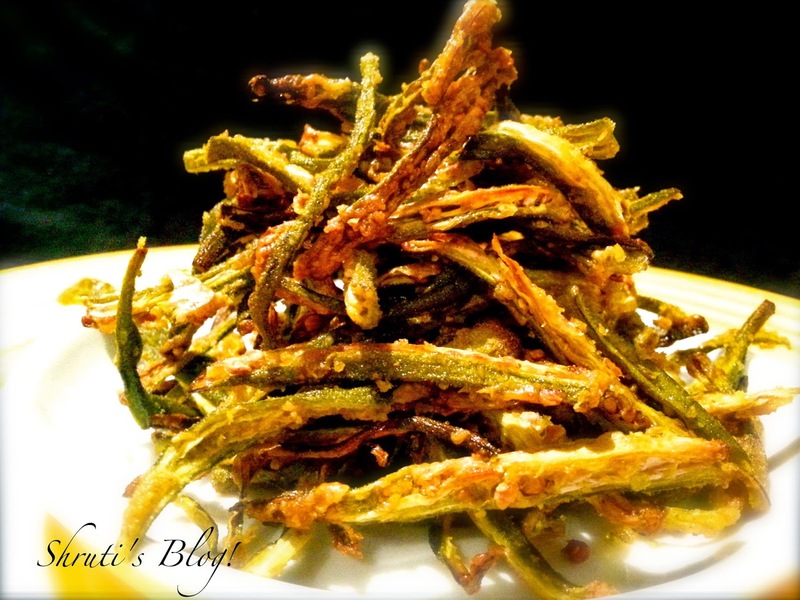 Mix the bhindi into the paste and toss it to coat. Line a baking tray with parchment and spread the bhindi evenly and thinly. Preheat the oven to 200 C and bake the bhindis till crisp. I baked the bhindis for around 30 minutes and then turned the heat down to 180 for another 10 minutes.